As posted in our general announcement of Tinnitus Week, we will be releasing daily “nuggets” of insight, all harvested from surveys we conducted in the past, to explore topics related to 2019’s theme of Isolation. Any comments or feedback are welcome, in the Tinnitus Talk thread posted above! One caveat here is that the difference between the responses of people with tinnitus and the responses of their significant others might simply be due to the low sample size of the latter group – very few significant others filled in the survey: only 61 out of the total of 1927 respondents were significant others. 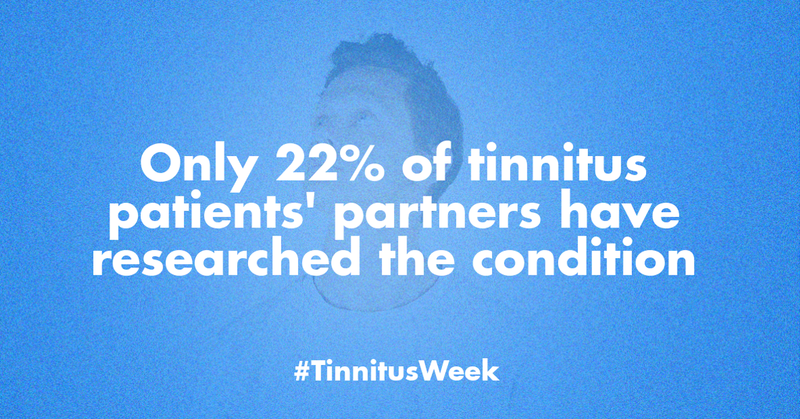 This in itself tells us something about the lack of interest and understanding some tinnitus patients face. There no doubt that it does matter how much our loved ones understand about the condition. In the same survey, for instance, 14% of people with tinnitus indicate that their significant others don’t understand when they want to avoid loud sounds, and nearly a quarter report a lack of support from their significant others when dealing with tinnitus-related mood swings – a topic we will explore further tomorrow (Day 3). Does lack of knowledge about the condition lead to a lack of support? And if our loved ones don’t even educate themselves about tinnitus, how can we expect the general public to understand the struggles of people living with tinnitus? 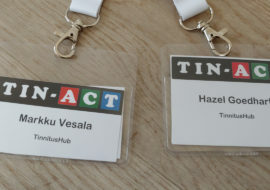 One issue about tinnitus that often seems hard to grasp, even within the tinnitus community itself, is that the condition comes in various forms and intensities and impacts different people differently. In that sense, it really is a spectrum. While it’s true that the group of severe sufferers – those who experience severe mood disorders or even suicidal tendencies because of their tinnitus – is thankfully a minority, it’s still a large group in absolute numbers. Reliable numbers on this are hard to come by, because different studies use different definitions of ‘bothersome’ or ‘debilitating’ but to give an indication: A study by Kochkin et al. 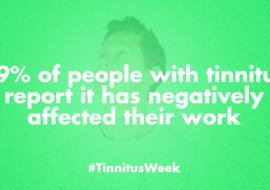 (2011), with a sample size of over 3,000 tinnitus patients, found that about 1 in 5 (20%) described their tinnitus as disabling or nearly disabling. Secondly, those who do not experience their tinnitus as debilitating nevertheless report some impact on quality of life. This is a topic we will explore further later this week when looking into tinnitus and mental health (Day 4), tinnitus and relaxation (Day 5) and tinnitus and social withdrawal (Day 6). 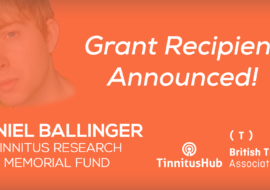 Getting across this rather complex and nuanced message should be part of any awareness raising efforts for tinnitus – whether directed at significant others or the general public. Because if people cannot grasp the highly variable, and in some cases profound, impact tinnitus can have on quality of life, then how do we convey the dire need for better treatments, improved healthcare and increased funding for research into a cure?